Roxana Illuminated Perfume: Page 47, one of my most popular and best selling natural botanical perfumes, is back in the solid format! 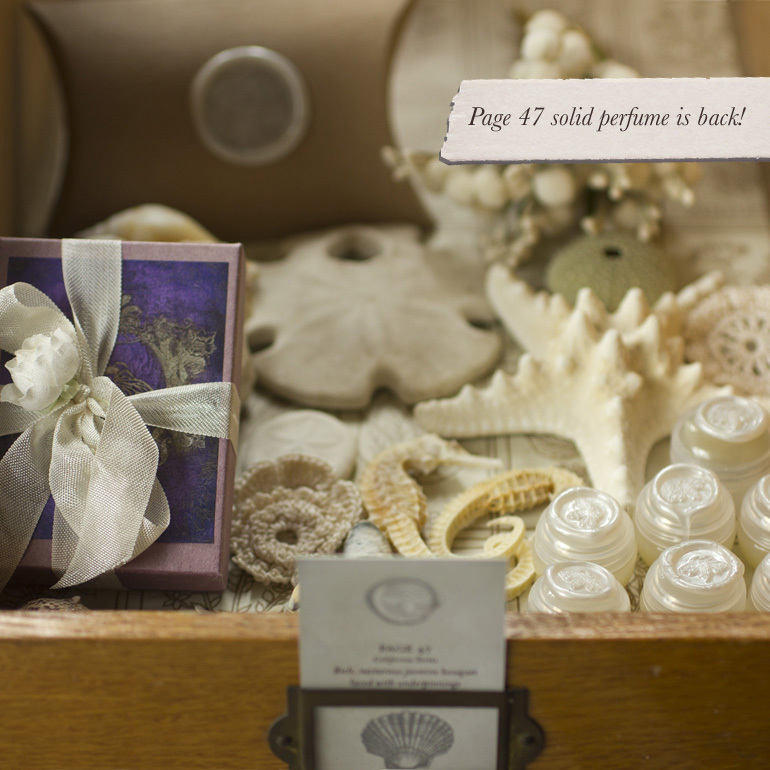 Page 47, one of my most popular and best selling natural botanical perfumes, is back in the solid format! Authentic natural, botanical perfumes that are handmade require patience because since they are produced with hands and real plant materials more time is required to make them. The slow food movement that came out of Italy in relation to food and the current artisan culture, or even bee keeping and re-doing a garden with California natives requires a gradual and deliberate slowing that is somewhat contradictory to the frenzy demanded by the outside world. There are several fragrances that are currently sold out and I am working on like Rosa and Gracing the Dawn in their liquid form and Hedera helix and Figure 1: Noir as solids. The good news is that Page 47, a perennial favorite, is back in her solid state. Since my business has hit a new momentum that is making it a challenge to do so many of the tasks required for my business, I have started bringing in some friends and people to help out. This will allow me to focus more on things like keeping making perfumes and the launch for the online classes. In the meantime, inhale, breathe deep and enjoy the pleasure of the moment.